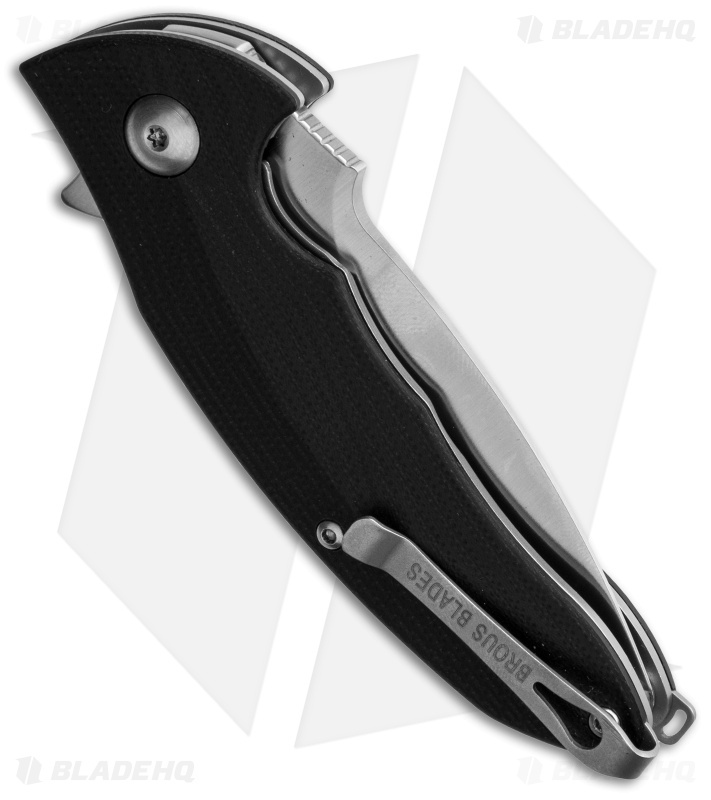 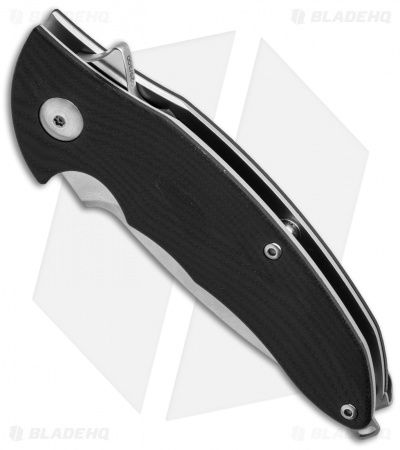 This Limited Edition Caliber from Brous Blades features a black G-10 handle and a satin finished blade. Includes certificate of authenticity and is serial numbered. With action like a bullet, the Caliber is an everyday carry delight. It is similar in size to the popular Bionic flipper, but with its own personality and ergonomic feel. An open-built titanium frame is supplemented with black G-10 scales. 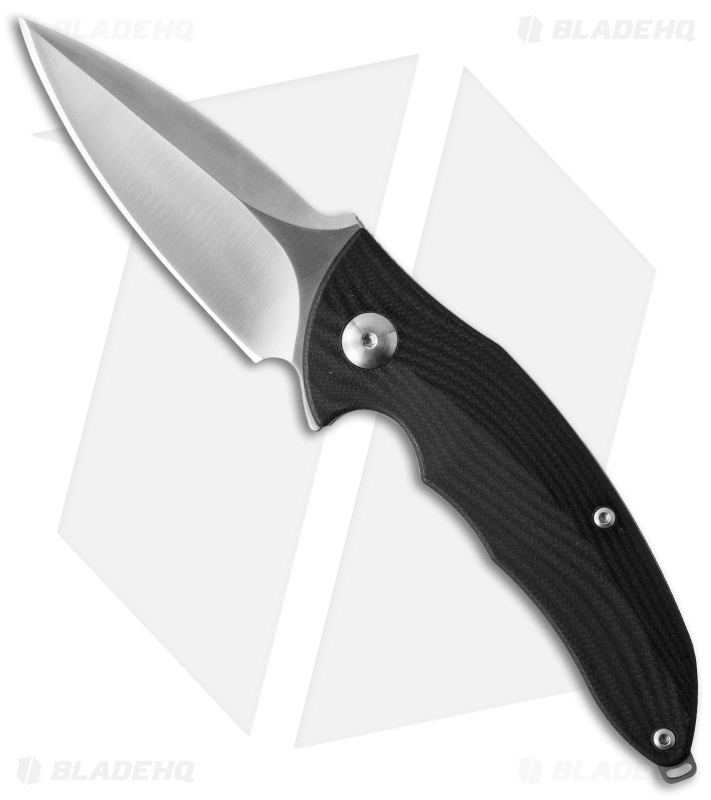 The spear point style blade is hollow ground and rides on the Brous Blades bearing system for first-class action. Like a few of the other models, the Caliber has a reversible deep carry clip and lanyard tab.